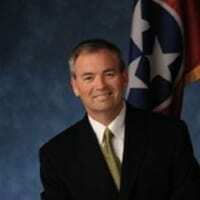 Wilson County Mayor Randall Hutto sings oldies in the shower and does not enjoy eating booger flavored jelly beans. We’re sure you won’t find that anywhere on his résumé, but it’s amazing what you can learn about someone while sharing a ride.  Hutto Hytched through Wilson County to experience the new Ride-Sharing Rewards app built by Hytch, a Nashville based tech company recently recognized by the Nashville Technology Council as the region’s 2018 Emerging Company of the Year. The conversation focused on commuting challenges his citizens face, and thoughts about how each individual can contribute to the solution. Hytch is introducing a technology-driven solution to traffic problems we all suffer from that is based on rewarding people who share a ride and expanding the options available for employer-supported rideshare incentives. Hytch users download the free app and whenever they share a ride with friends, neighbors or co-workers, both the driver and passenger can earn points that convert to cash! Getting paid today — that seems like a worthy conversation when the large scale road and proposed mass transit solutions in the pipeline are years away from starting, let alone completion. While Hytchin a ride share with Carissa, Mayor Hutto was introduced to the game Bean Boozled, and possibly regretted it immediately (the game, not the shared ride). After learning some staggering facts about the annual cost of round-trip commutes from Wilson County and reduced lane capacity of interstates during rush hours, the unfortunate (but good natured) Mayor also learned that stinky sock jelly beans’ odor travels almost as fast as the Music City Star. Leaders know that rewards work, and Hytch Rewards are a viable solution to the traffic crisis in Nashville. Thanks to forward thinking companies like Nissan and Franklin Synergy Bank, both the driver and passenger get paid when they share a ride using Hytch.